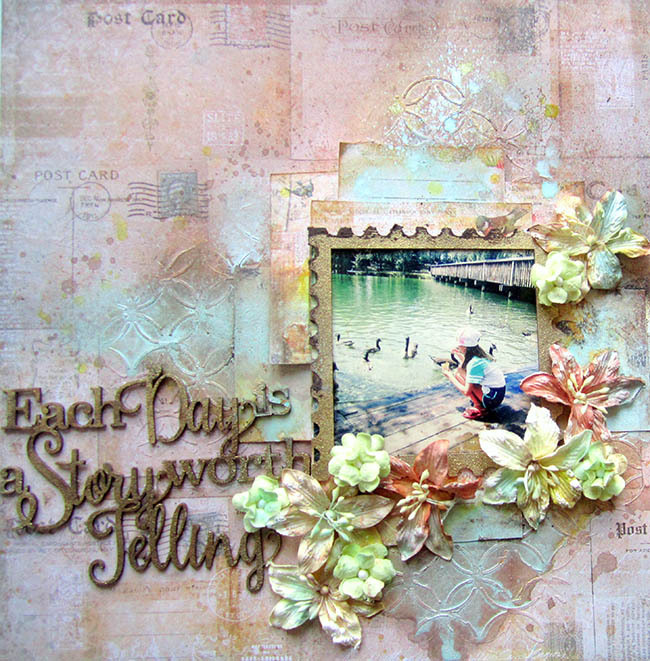 I created this layout for the Blue Fern Studios November challenge. 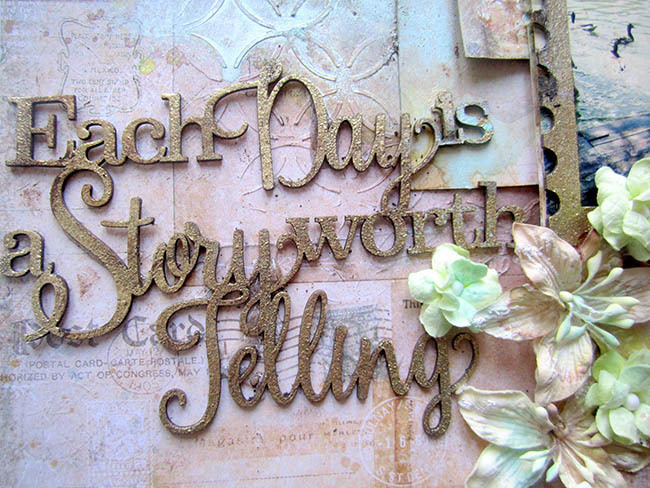 This month, the challenge is to use a Blue Fern Studios chipboard title. 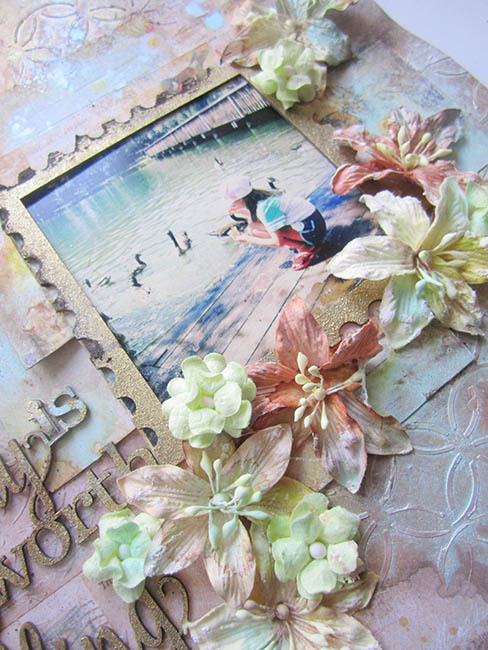 I used the Mémoires collection for this layout. 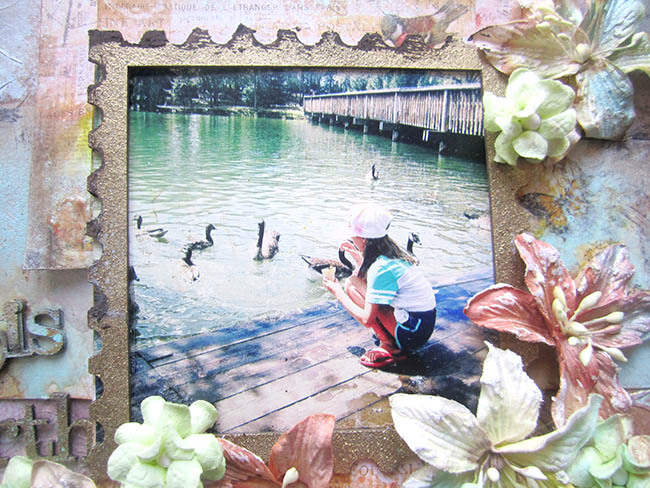 I used the postcard chipboard frame around the photo. The frame as well as the title were embossed with Antique Gold embossing powder. I used several Blue Fern Studios blooms to embellish around the photo. I simply want to say I am newbie to blogs and honestly liked this web page. Almost certainly I’m likely to bookmark your blog post . You really come with wonderful articles. Thank you for revealing your blog.